Knocked out a Tooth? Your Emergency Dentist Helps Save Your Smile! Human teeth are pretty tough, and healthy pearly whites are firmly attached to your jawbone via ligaments. However, just because nature creates a secure home for your smile doesn’t mean that an accident can’t knock one of those chompers clean out of your mouth. Hard hits during contact sports, falls, and other incidents could mean that you suddenly find that one of your teeth is no longer where it belongs. What should you do in such a situation? Your emergency dentist in Ocala is here to guide you. Find the tooth and pick it up by the crown (the part that you normally see above the gum line). Avoid touching the root because that part of the tooth doesn’t have enamel to protect it. Gently rinse the tooth in water or milk to get off any debris that’s stuck to it. It’s important to keep the tooth moist. Do this by reinserting it into its original socket if possible. You could also keep it between your gums and cheek. However, if it’s a child who lost the tooth or the nature of your injury makes it impossible to keep the tooth in your mouth, you’ll have to use other means to keep it moist. You can store it in tap water, but only use that as a last resort because it could damage the sensitive root surface cells of the tooth. Milk is a much better choice because it has calcium and other nutrients that will help the tooth stay in as good a shape as possible while you’re on the way to your dentist in Ocala. Another option is to use a special tooth preservation kit that you can pick up at a local pharmacy. Time is of the essence when you suffer an avulsed (knocked-out) tooth. 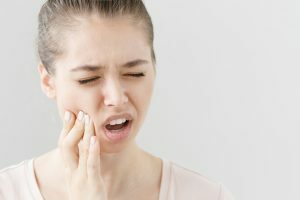 If you can get to your emergency dentist in Ocala within an hour or so of the incident, it’s very possible that you won’t have to suffer from a permanent new gap in your smile. Your dentist will assess the situation, rinse out the socket that the tooth came out of, and then may reattach the tooth by bracing it in place with metal wires that go around the adjacent teeth. However, some situations are more complicated than that. If the tooth was broken, or if you need a root canal right away, your dentist will have to take extra steps in while they’re attempting to save your smile. If it’s simply not possible to save a tooth, your dentist will let you know about other options. After you heal from your injury, you may be able to get a dental implant or a bridge to fill in the empty space in your mouth. Knocked out tooth? There are two keys to saving it: Handle it properly and get to your dentist as soon as possible. Dr. Daniel Weldon is an experienced and skilled dentist who is always ready to address dental emergencies, including knocked-out teeth. If you suddenly find that your smile is facing a major problem, please contact our office right away at 352-622-3236. Comments Off on Knocked out a Tooth? Your Emergency Dentist Helps Save Your Smile!